Wow, what a morning full of reasons to celebrate. I got up early today to watch the ALA book awards LIVE on Facebook. There I sat at my dining room table literally applauding, hooting and hollering for all of those authors and illustrators I’ve read and adored all year long. I look forward to this day every single year. It’s the academy awards of books. Today is a day of GREAT celebration! As the nominees and winners were read, I noticed a fantastic line-up of diversity and multiculturalism that is reflective of the country we live in. Today is also a win for the hard work we’ve tirelessly put in over at Multicultural Children’s Book Day over the last 4 years to bring awareness to multicultural and diverse children’s book titles published recently and in the past. 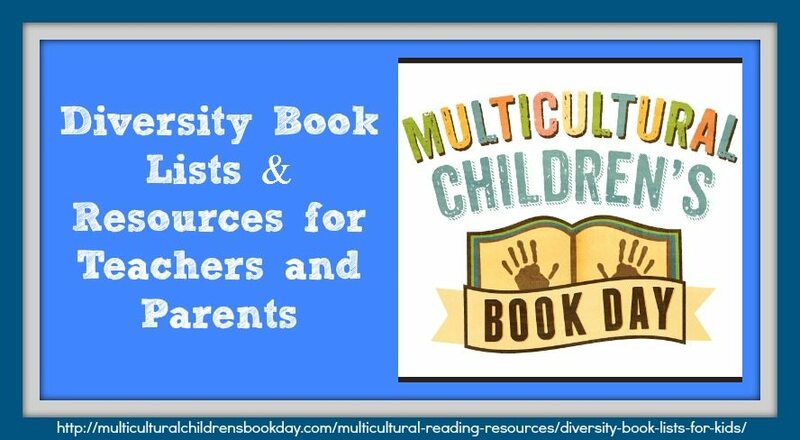 To create an annual celebration around these titles, to create a large resource for parents and teachers, as well as putting hundreds of books into multicultural and diverse books into kids hands who need it most through our classroom and book bundle giveaways. More importantly it’s about acknowledging that diversity exists and we all have the right to see ourselves within the pages of the books we read. We also have the right to embrace difference from ourselves and create different lenses to worlds, both real and imagined that we spend time in. I’d like to personally thank the ALA and the great efforts to acknowledge and award the incredible talents and diversity in storytelling. For honoring all of those who have made us laugh, cry, get angry, and smile through their captivating stories and engaging illustrations. Also huge thanks continues to go to the authors and illustrators who feel inspired to share their stories with us. And all of you for making your voice heard on what books are important to you and what you love reading! Here are just a few of today’s big winners. I’ve shared this from their press release.To see a full list please go here. “Freedom Over Me: Eleven Slaves, Their Lives and Dreams Brought to Life by Ashley Bryan,” written and illustrated by Ashley Bryan and published by Atheneum Books for Young Readers, an imprint of Simon & Schuster Children’s Publishing Division. “The Inquisitor’s Tale: Or, The Three Magical Children and Their Holy Dog,” written by Adam Gidwitz, illustrated by Hatem Aly and published by Dutton Children’s Books, Penguin Young Readers Group, an imprint of Penguin Random House LLC. Four Caldecott Honor Books also were named: “Leave Me Alone!” illustrated and written by Vera Brosgol and published by Roaring Brook Press, a division of Holtzbrinck Publishing Holdings Limited Partnership. “Du Iz Tak?” illustrated and written by Carson Ellis, and published by Candlewick Press; and “They All Saw a Cat,” illustrated and written by Brendan Wenzel and published by Chronicle Books LLC. “Freedom Over Me: Eleven Slaves, Their Lives and Dreams Brought to Life” by Ashley Bryan,” illustrated and written by Ashley Bryan, a Caitlyn Dlouhy Book, published by Atheneum Books for Young Readers, an imprint of Simon & Schuster Children’s Publishing Division. “The Only Road,” written by Alexandra Diaz and published by Simon & Schuster Books for Young Readers/A Paula Wiseman Book. “When the Moon Was Ours,” written by Anna-Marie McLemore and published by Thomas Dunne Books, an imprint of St. Martin’s Press. “Unbecoming,” written by Jenny Downham and published by Scholastic Inc. by arrangement with David Fickling Books. “Pride: Celebrating Diversity & Community,” written by Robin Stevenson and published by Orca Book Publishers.